ENERGY STAR certified new homes qualify for special mortgage lending programs offered exclusively to home buyers who purchase homes that meet the stringent energy efficiency requirements of ENERGY STAR. ENERGY STAR offers information on mortgage lending programs that include the cost of energy efficiency investments in the loans themselves so that borrowers can pay for those investments over the life of their loans, as well as possibly deduct the interest from their federal and state income taxes. These programs include Energy-Efficient Mortgages (EEMs) that give borrowers the opportunity to finance cost-effective, energy-saving measures as part of a single mortgage and stretch debt-to-income qualifying ratios on loans thereby allowing borrowers to qualify for a larger loan amount and a better, more energy-efficient home. To get an EEM, a borrower typically has to have a home energy rater conduct a home energy rating before financing is approved. 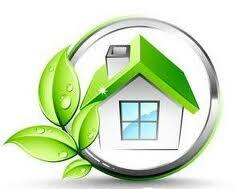 This rating verifies for the lender that the home is energy-efficient. To learn more about Energy Efficient Mortgages, click here or contact your mortgage lender. About Pioneer West Homes: Pioneer West Homes is a Colorado Custom Home Builder offering energy-efficient custom homes from Southern Colorado to New Mexico. The Southern Colorado leader in energy-efficient home building, Pioneer West Homes became the first builder in Pueblo County to join the U.S. Green Building Council and begin certifying homes to the LEED for Homes standard in 2009. LEED stands for Leadership in Energy and Environmental Design. LEED is an internationally recognized green building certification system, providing third-party verification that a building was designed and built using strategies aimed at improving performance across the metrics that matter most: energy savings, water efficiency, CO2 emissions reduction, improved indoor environmental quality, and stewardship of resources and sensitivity to their impacts. Pioneer West Homes is also the only builder in Southern Colorado to commit to building 100% of its homes to the Energy Star Version 3 Standard. Energy Star is a program led by the U.S. Department of Energy that provides third-party verification of green building standards.